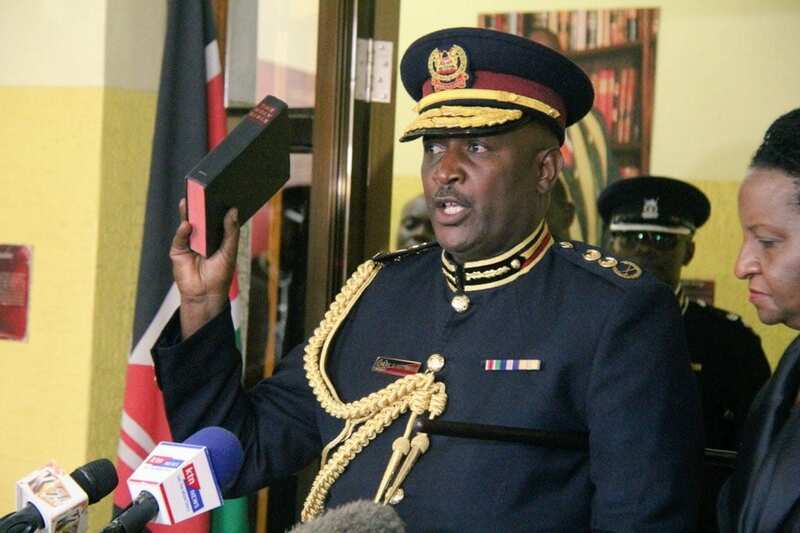 Monday April 15, 2019-An outspoken Jubilee Party senator has threatened to move an impeachment motion against newly appointed Inspector General of Police, Hillary Mutyambai, for withdrawing security of some Jubilee leaders. Speaking at a public rally at his Kericho backyard on Sunday, Cheruiyot, said that the IG has already proven that he cannot deliver his duties without being influenced by powerful persons in government. Cheruiyot was reacting to the withdrawal of security details of Kiambu Governor Ferdinand Waititu, Nakuru Senator Susan Kihika, MPs Alice Wahome (Kandara), Kimani Ngunjiri (Bahati) and Kimani Ichung'wa (Kikuyu). Cheruiyot claimed that the IG's promise of serving Kenyans without any fear or favour was fake, and reminded him that he can be kicked out any time unless he changes the way he does his things. The lawmaker further reminded Mutyambai that the job of assigning bodyguards to MPs, senators and governors is not a privilege but a right.